Yerba Santa, also known as Mountain Balm and Bear Weed, is a small shrub native to California, where it has an affinity for growing under the canopy of redwoods. The leaf contains a number of flavonoids used in the food and pharmaceutical industries to improve flavor. 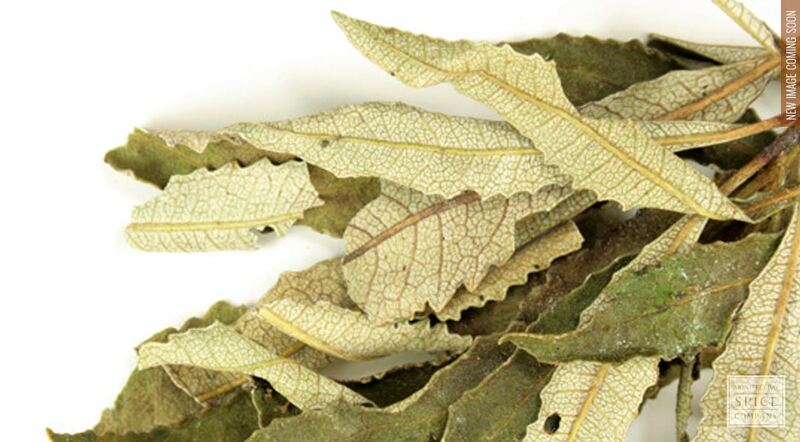 The whole, dried leaf is typically used at home in tea blends. appearance & aroma Whole, light green leaves without remarkable aroma. cosmetic Infusions of the leaf are traditionally added to the bath to ease tired muscles and inflamed joints. culinary The dried leaf is used in tea blends. The herb is also combined with bitter herbs to produce tonics. household Yerba santa is used as a smoking herb, often in combination with lobelia and other herbs. industrial An extract made from the leaves is used in the food and beverage industries to flavor baked goods, soft drinks and some dairy products. 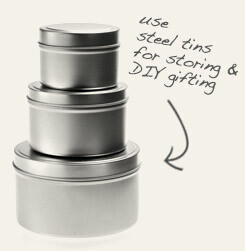 Keep yerba santa fresh and dry in a steel tin. 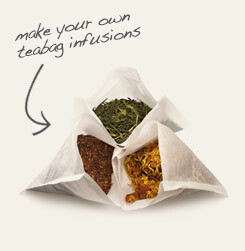 DIY: Just fill and press to make your own bags of yerba santa tea. Yerba santa leaf produces a sweet tea. The fresh leaf of the plant is said to quench thirst when chewed. This is because the plant retains water to withstand its hot and dry habitat. Rolled and dried in the sun, the leaf is chewed to cleanse the mouth when mouthwash is not available. At first, the taste is bitter but with a sip of water it becomes sweet. Historically, yerba santa is prepared as a tea or tonic to help eliminate congestion and other respiratory complaints. The herb can also be tinctured or made into a syrup.